We’re well beyond the days of Pong and Asteroids. Gaming consoles are now complete home entertainment systems. These days, you don’t need to be a gamer to get great use out of a console, with apps, movies and streaming television just the tip of the entertainment iceberg. We’ve covered the latest consoles and what you can do with them. The old PlayStation slogan “it only does everything” is truer now of consoles than ever. There’s a strong case for making a game console the hub of your home entertainment system. Consoles can play your DVD and Blu-ray discs and run apps, such as YouTube. You can use them to play content from USB thumb drives, buy movies and games from online stores and connect to your personal media servers. Xbox One and PlayStation 4 (PS4) are the main players. Despite its spirited fan base, Nintendo’s Wii U hasn’t been as popular as its smaller mobile devices and isn’t as versatile for home entertainment purposes as the other two systems. Consoles can also run streaming video-on-demand services, such as Netflix and Lightbox (though not all services are available on all consoles). Consoles can “suspend” applications and games. For example, if you’re playing a game, you can suspend it, watch a film on Netflix, and then flick back to exactly where you were in the game. This means you can easily switch between watching a movie to playing a game to listening to music. You can even put the console into stand-by mode and come back to where you were later. Consoles play nicely with your other devices as well. You can set your console up to control other devices, such as your TV or DVR, either through a direct physical connection or by using an infrared (IR) blaster. Xbox can connect to Windows 10 devices and stream through them, while PlayStation has a similar app for Sony tablets and phones. These mean someone can watch something else on the TV, while you play games on your phone or tablet. The Spotify Connect app on PlayStation allows you to stream music through the console, like you would on any device. You can also control the music using your phone or tablet, just like a stereo system. The main downside of consoles is a lack of easily accessible physical inputs. The PS4 Pro has two USB ports at the front, but most consoles only have one and you’ll probably use that for charging the controllers. Of course you can also still play games. As well as buying physical games from a store, each game system has a digital marketplace. 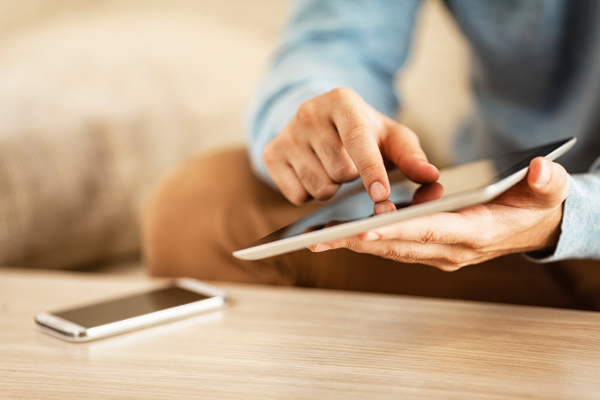 While buying digital copies is sometimes cheaper, there are trade-offs. While you don’t have to wait for it to be delivered or go out to purchase it, you’ll have to wait for it to download. Also you also can’t lend digital games to your friends. Gaming can use lots of broadband data. In addition to downloading games, most also include online multiplayer modes and offer DLC (downloadable content). Games and apps also update via the internet, with some updates being up to 2GB. Multiplayer is standard in most games, however “cross-platform” gaming is practically non-existent (this mean PS4 users can’t play against Xbox users). While local-multiplayer (playing the same game on the same console) games do exist, they are becoming less common. Each console has exclusive game franchises. For example, Halo is only available on Xbox and Uncharted on PS4. Some games will have limited exclusivity, such as only being available on one console for a limited time or having certain DLC tied to a specific console or retailer. Sometimes certain DLC is offered as an incentive to pre-order a game. Games are reviewed by the Office of Film and Literature Classification and given a classification similar to movies. Some games depicting extreme violence have been banned from New Zealand in the past but this is rare. These ratings are a good indication of whether the game is appropriate for your kids and the type of content it contains. The last generation of game consoles (the Xbox 360 and PS3) had instances where some models suffered from catastrophic hardware failures, colloquially known as the “Red Ring of Death” and “Orange Light of Death”. The current generation hasn’t had any issues on this scale, but hardware does fail and when it does the Consumer Guarantees Act can help you. 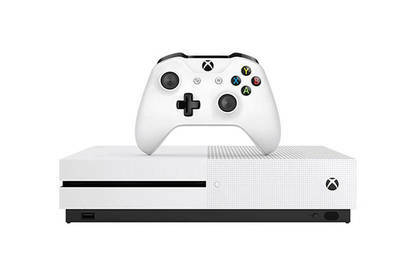 A game console should last at least five years and if a fault arises before then, that isn’t a fault of yours, then you may be able to take it back to the retailer for a repair, replacement or refund (should the other two options be unavailable). With software it gets a little trickier, but you still have protections under the CGA. If there’s an issue with the physical object, such as a scratch on the disc when you buy it, you can return it to the retailer you bought it from. With games, consumer law extends beyond the physical disc. If your game has a software issue, such as a game requiring online access but this was not made clear at purchase or it has glitches that prevents access to certain parts of the game, the retailer is obliged to put things right by offering a refund or replacement. Under the CGA, this applies to any piece of software a retailer sells. However, it gets more complicated if you purchase a game online in digital format. Steam, for example, isn’t a New Zealand company, so getting a refund from it might not be as simple as getting one from somewhere local. 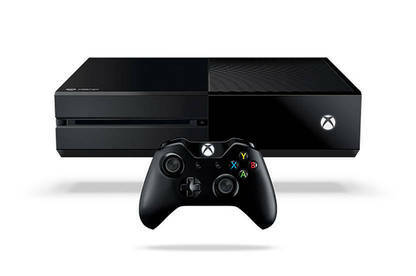 The latest Xbox iteration is the One X (following on from the still available One S). The One X has more storage, is faster, and outputs native 4K and HDR. It’s also the smallest Xbox console yet and runs nearly silently. The One X plays any Xbox game (this includes older Xbox 360 games that have been re-released for the newer consoles). Some recently released games, such as Tomb Raider, have been “enhanced” for the One X (essentially, this means they’ve been upgraded to 4K resolution and HDR). However, there are times when the images are far from perfect. For example, when I played Forza and paused it, the graphics were amazing, but during gameplay, I found the car’s interior lacked detail and the visuals were much too dark when going from brightly lit tracks to dark tunnels. The One X has lots of tricks and tools (like variable frame rates) for developers to use. You don’t need the game blasting along at a super-high frame rate all the time, so you can lower that at certain points and have the One X put more power into other things. What the One X does on a 1080p TV is impressive. Instead of outputting a true 1080 image, it outputs a 4K image, then scales it down to HD. I think of it as reverse upscaling. I’ve seen comparison images illustrating the changes and the difference is subtle but definitely noticeable: details are more fine-grained and images have more depth. The connection between the main console and the controller is stronger and works faster than on the Xbox One. The USB ports are also easier to access, making it a simpler console to use. Annoyingly, the One X still uses the clunky old Blu-ray player app (which doesn’t come pre-loaded, so you’ll need to get it from the Xbox app store). The One X is probably the best console on the market so, if you’re looking to buy a new console, get an Xbox One X. However, if you already have an Xbox One or One S, then you have a harder decision. Personally, I wouldn’t. An Xbox One or One S with a 4K TV doing the upscaling goes a long way towards what the One X offers. If you don’t have a 4K/HDR TV, I’d upgrade that first. While there is scepticism regarding its virtues, when seen side by side with regular HD it’s easy to see that this new screen technology is worth it. 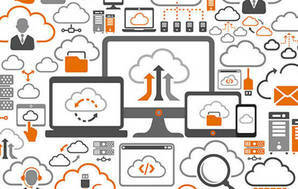 Content is rare at the moment but it’ll be as ubiquitous as HD in the near future. I’m firmly in the camp of don’t upgrade unless you absolutely “need” to, but I also understand the pull of new tech. With the release of the One X, the base Xbox software has changed on all Xbox consoles. The big, colourful panels are gone and the home screen is mostly taken up with the last app or game you played. There are also behind-the-scenes changes (for example, if you don’t have an Xbox One X, you can choose not to download 4K content with online purchases, saving both storage size and download times). The One X is a very good machine and it’s nearly silent (compared to PlayStations and both previous Xboxes). The controller does seem to chew through batteries faster, so you may want to invest in a large pack of AAs. 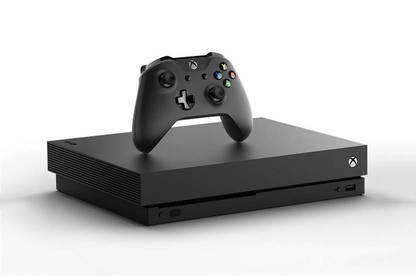 The Xbox One X console was loaned to the writer by Microsoft. This year, Sony updated its PlayStation range to have two models starting with an update of the “basic” PS4 alongside the introduction of a newer, gruntier system. 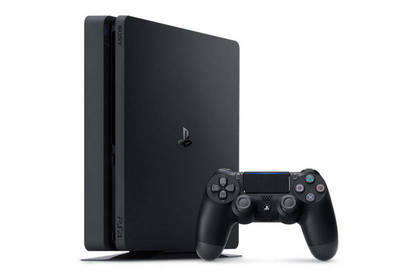 The updated PS4, the most popular current-generation console worldwide, was slimmed down and given a larger memory as standard. But not much else was changed from the original. It still doesn’t give you 4K images, but it will do HDR. The other model released was the PS4 Pro, a larger and more powerful system. The PS4 Pro delivers superior quality. It has an upgraded graphics processor and upscales images to the best quality depending on your TV. This means 4K and HDR images where possible, from both video and games. You’ll need a 4K/HDR TV to view the improved images. PlayStation’s current operating system has the ability to organise your games and apps into folders. There’s a few handy tricks as well, such as being able to schedule updates for the middle of the night when no one else in the house will be online. The PS4 has integrated the music-streaming app Spotify. As with other Spotify-enabled devices, you can stream music through the PlayStation and control it from the Spotify app in your phone or tablet. You can play music through the app while playing games, mixing in your own playlist to the in-game sounds. There are also playlists curated specifically for particular games. Voice commands on the PlayStation are simple to use and usually work well. You’ll either need a headset (a basic one comes with the console) or a PlayStation Camera (optional extra) to use them. The camera is also needed if you want to use the PlayStation Virtual Reality (PSVR) headset. Sony is the only console offering virtual reality. The PlayStation controllers have a touch pad in the centre, which is used in some games and apps. They are also rechargeable via USB (supplied Xbox controllers require AA batteries). In the front of each controller is an LED light that can change colour, this is used for motion-controlled games but is also employed in some games to give extra info. For example, as your character loses health it goes from green to red. PS4 Pro controllers have a clear strip in the touch pad to make this light easier to see. Titles exclusive to the PlayStation platform include: Uncharted, Ratchet & Clank and God of War. Many years ago, the Nintendo Wii was the first motion-controlled console and was initially hugely popular across the globe. 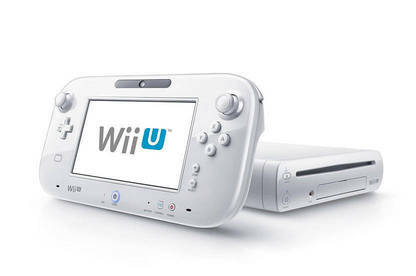 However, the follow-up Wii U didn’t fare as well, despite having an innovative controller with a built-in screen. However, in the mobile gaming space Nintendo is king. 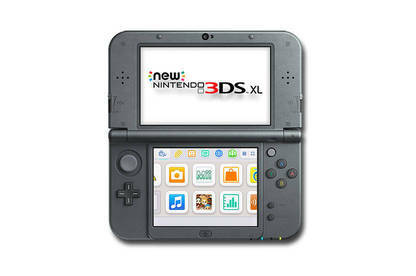 The 3DS and the larger 3DS XL lead the way (if you don’t count games on mobile phones) mainly due to the popularity of Nintendo’s big-name properties: Zelda, Pokemon, and Mario. Those titles have cult-like followings, to the point where Nintendo have announced a partnership with Universal Studios to open game-themed attractions at three parks in the US and Japan. The 3DS and 3DS XL are still the most popular mobile “consoles”, mostly in Asia but even in New Zealand there is a strong user base. They both offer adjustable glasses-less 3D. However, Nintendo falls behind in entertainment versatility. The Wii U can’t play DVD or Blu-ray discs but you can use it to stream Netflix (but no other streaming apps) and it will do full HD. But that’s about it, the Wii U is primarily a game device. The controller’s built-in screen lets you play in various ways, either with the main screen mirrored or with extra info on the small screen. For multiplayer games the second screen can give a player extra, “secret” information. Nintendo’s Miiverse allows gamers to create a small cartoon avatar of themselves and interact in an online space called Nintendoland. Avatars can also video call each other. The Wii U is backwards compatible with your Wii. Nearly all Wii games, data and accessories can transfer directly to the Wii U console. To extend gameplay, Nintendo has released collectible “amiibos”; physical statues of in-game characters that give you extras and bonuses to your gameplay when tapped against the Wii U controller or 3DS. Nintendo fans are awaiting the release of the Nintendo Switch in 2017; a gaming system that is portable and a console you can plug into a TV. It can also “transform” into different forms by sliding the control sticks out for wireless play. Our research shows consumers are mostly buying larger TVs, with many of those being 4K. People are also increasingly signing up for ultra-fast broadband, which enables streaming services, such as Netflix, to deliver 4K/HDR quality images. The Xbox One S and PS4 Pro are devices built for this future. If you have a 4K/HDR TV then you might be slightly disappointed your console can’t deliver on image quality. Running processors at peak performance creates a lot of heat. So you’ll want to keep your gaming system somewhere well ventilated. You’ll know when the heat gets too much because the fans will rev up and the system will become quite noisy. If you have your game system in an entertainment cabinet make sure they aren’t behind glass doors and/or have the back open to allow air to circulate. A huge amount of gaming still happens on PCs (personal computers). Generally, the “rig” you use for gaming will be different from what you use to surf the web or watch Netflix on the couch. This is especially true of gaming laptops, which are large and uncomfortable to use on your lap. Gaming computers tend to be for “serious” gamers. You need a mouse and keyboard. While you can get by with the standard gear, if you’re a serious gamer, this means a set that is (usually) wired, covered in extra buttons, and incredibly touch sensitive. You’ll also need a screen. Most high-end games have high resolution and frame rates, so you’ll need a high-end monitor to take full advantage of this. While gaming PCs have a barrage of USB, sound, and display ports, they don’t always have a physical media drive. So there’s nowhere to put a disc, which means all the games are downloaded, with some being huge downloads. It’s still possible, though a lot less convenient, to set up your gaming PC as your home entertainment hub. This could involve setting up a media server, setting up a Chromecast, and/or running HDMI cables between your computer and your TV. While it’s all doable, it’s not as easy as a console. It’s worth noting PC gaming is still mostly the domain of Windows machines. Very few games are made to run on Apple computers. If you are gaming on a Mac, ensure the game you’re buying will run on it. One aspect of PC gaming that has been slow to move to consoles is “modding”. Mods, short for modifications, are user-created changes to games. They range from different character models and sounds to major changes to the gameplay. The Steam store is an excellent source of these for many games. You’ll need an Xbox Live account to do nearly everything with your Xbox. If you have a Windows account, you can use the same login. Xbox Live offers game, music and movie rentals and purchases. You can quickly browse to Live from inside the Xbox operating system, though once there it is awkward to navigate. Your saved games follow you on your Live account. So even if you delete and then reinstall a game, your saves will still be there. Xbox Live Gold is a subscription service ($80 annually, though there are various pricing options). Gold gives you access to more features, including online multiplayer and discounts on digital purchases. As part of the service, its “Games With Gold” section offers three games every month to download free. These games are available even if you delete them, as long as you still have a Gold subscription. PlayStation’s online service is PlayStation Network (PSN). Your PSN account allows you to keep your saved games online and restore any previous purchases. The PlayStation store also offers games and apps. You can upgrade to PlayStation Plus (PS+), a subscription service ($90 annually, though there are various pricing options). PS+ accesses extra services, including online multiplayer as well as discounts on games. Every month, three games are free for PS+ members to download. These games are available even if you delete them, as long as you still have your PS+ subscription. The Nintendo eShop offers both Wii U and 3DS games for download. Steam is the largest and most popular online store for PC games. It uses an app on your desktop to manage the games you purchase and as an entry point to its store and community. Each game has its own forum where users trade tips, give feedback to the developers, and share “mods” (in-game modifications). At peak times there can be upwards of 12 million users on Steam. For example, at time of writing, New Zealanders had downloaded 826TB of data from Steam. An impressive number until you consider that’s only 0.3% of Steam’s global traffic. Steam are famous for its sales and you can always find a deal on a game you have been waiting to play. Another good site for buying PC games is Humble Bundle, which has a similar “store front” to Steam, but also bundles together slightly older games (and books and mobile games) to sell as cheap packages. It also donates a portion of each sale to charity.